Loblaws, Canada’s largest grocer, announced this week that they will add 50 stores and spend $1.2 billion on expanding their network and distribution. Walmart echoed this push announcing $300 million in expansion. Big chains are getting bigger. That is not a story. The stories in the grocery world right now, for me, are two trends I’ve been watching. One is happening in a big way south of the border with Amazon dot com. They’ve been a distributor of all things since the 90s and 15,000 dry good groceries for a good part of that. Now, in their home base of Seattle and Los Angeles, if you join Amazon Fresh and pay a fee of about 200 dollars a year, you can order online from a wide variety of grocers and specialty stores for home delivery. As you long as you order by 11 p.m. – for most items – that which you desire will arrive on your doorstep by 6 a.m. the next morning. No wonder Loblaws are looking into e-commerce to broaden their distribution. They might be looking at some very empty big boxes of stores if this catches on in Canada. They’ll have to go some to catch Amazon who’ve been doing e-everything since the 90s and who just spent $750 million on their inventory robotics systems. Now that is a big story but it’s not the one I’m going to focus on. The trend I’m going to focus on is the opposite of big. It’s small in every way. 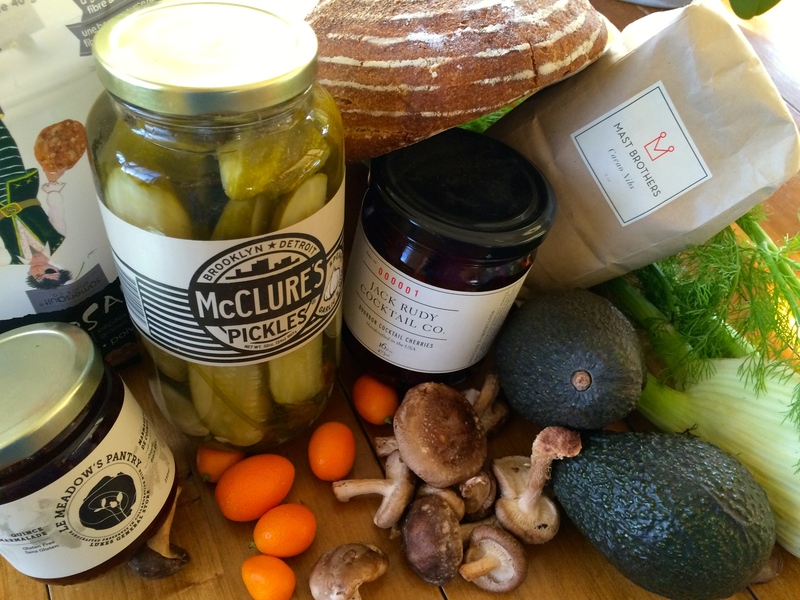 It’s the revival of the corner grocer. The book above is what got me thinking about corner grocers as a trend. 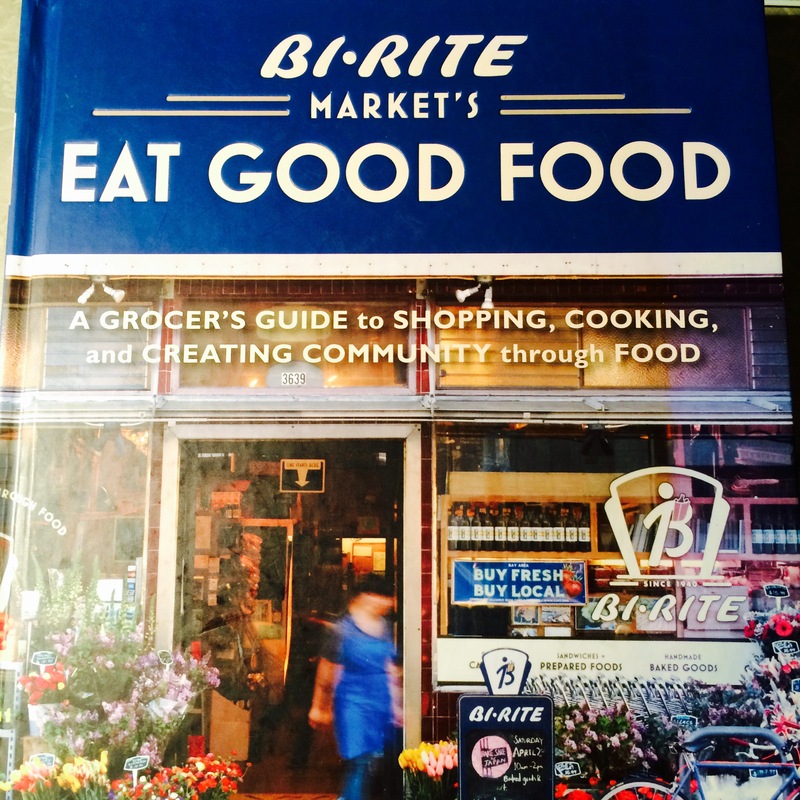 It was published in 2011 but Sam Mogannam, the owner of Bi Rite. He started this little store’s revival – in San Francisco’s Mission District – in 1998. His Dad and Uncle had owned it since the 1960s and he’d worked there until he left to become a chef. When he bought the business from his father, he started running it like a restaurant. He chose food he loved to eat, installed a kitchen, treated the shelves like his dream pantry, enhanced the lighting, added fun music and had his former servers to interact with customers and inspire them with their knowledge of the ingredients. He now owns a second store, a creamery and a bakery. He is credited with reviving not only his parent’s store but the whole of the Mission District. He’s also inspired a lot of other small grocers. One of these groovy new grocers is Patty Nowlan of Sunnyside Natural Market in Calgary. Patty and her partner Patrick Guyn have owned their tiny organic grocery for 18 years. They’ve survived despite looking across the street at a large grocery chain and attribute that to always listening to what their customers want. They wanted more fresh and beautiful food to eat on the spot. Enter Sidewalk Citizen Bakery owners Michal Lavi and Aviv Fried who were looking to expand. The two companies now share double the space Nolan started out with and she says since the expansion her business has doubles in every way. I left with a loaf of Sidewalk Citizen’s tangy sourdough and a duck confit and sesame slaw sandwich as well as some tiny orange kumquats that delighted my eyes and contrasted with the wide open blue skies I enjoyed as I ate the sandwich alfresco in nearby Bridgeland where I wanted to explore two more corner grocers. Bridgeland Market has been a corner grocer since 1912. Yousef Traya’s family have operated it since 1981. Traya is the fifth generation of grocers and his family at one point had 25 stores across Calgary, the States and back home in Lebanon. He watched his parents toil seven days a week selling the predictable cigarettes, lotto tickets, Hamburger Helper, loaves of bread and milk but he also watched the evolution of the business as a whole and in 2011 he was ready to re-imagine his family’s store. Today it is a bright and welcoming place with attractive signage, produce delivery four times weekly and shelves that seem carefully curated. Traya says that they now carry food you can make a meal from scratch with. As I snoop around the shop, I notice the clerk in conversation with a lady who lingers to talk. A few younger customers order espressos. When it is my turn I complement the chalk drawing and the clerk tells me she drew it, that she and two other resident artists take turns filling the place with chalk art. Traya jokes that he runs and artist’s day care. Perhaps he attracts them having mastered the art of that is running a successful corner grocer. I needed to mail a parcel so stopping at Luke’s Drug Mart, General Store and Postal Service about eight blocks away seemed a good reason to check it out as well. It was my inaugural visit. My first impression was favourable. Low benches line the exterior wall as though to welcome people to linger as they like. A long clean white counter runs down the left wall as you enter. Vibrant music plays and people are talking and laughing. There’s a fancy coffee machine front and center and a counter with stools to the right of the front door with a full window facing back out onto the street. The drug mart is evident but there seems to be a lot more going on. I spy vinyl records for sale and there’s even a turn table. I made my way to the postal outlet and a 20 something man-made quick work of my parcel to Australia – all the time making eye contact and smiling at me. The basement reveals a grocery and hardware section. Scanning the aisles I find a few products I’ve never heard of and I’ve been writing a regular “must-have kitchen stuff” column for five years. I come up to the till with arms full of goodies including boozy bourbon cherries and Luke’s own quince marmalade. I don’t really want to leave this place so I sit for a coffee. I leaf through a free copy of Calgary’s new Dote magazine and find an article on an Urban Farmer friend. A few hipster-esque customers come and go but then there’s a lady with a scarf wrapped around her head full of curlers. She spends quite awhile chatting with the staff and they laugh and gather around her like she’s their long-lost Auntie. Another lady pulls up beside me at the window-lit counter and tucks her walker to the side with a neat move that suggests she’s also a regular. Just as I finally get up to leave an old friend walks through the door. Michele Oakes tells me she lives around the corner and that Luke’s is her “everything store”. We chat and I finally leave but as I’m packing things into my car, two more friends walk by. I’m beginning to think if I lived here, I could ditch my car. Apparently, I’m not the only one to feel that way. A recent Globe and Mail article cited a Vancouver group of experts that suggest corner stores mean solid neighbourhoods and that they contribute to real estate value and increase the desirability of districts. This was certainly true for a couple of 30-something friends of mine when they went house-shopping in Montreal. They chose a cozy block in the NDG district with a corner grocer just off the metro and two blocks from their home. Now, with two little ones, he stops by each night to pick up what they need for dinner and he gets help from a beautifully stocked butcher, charcuterie and fromagerie, lots of take-home meal kits and fresh produce section to round out their nightly meal. Toronto has over 2000 corner grocers and that city’s food policy group are incorporating them into solutions to solve their urban food desert problem. That’s when there is no access to healthy food within a several kilometres. We have lots of food deserts here in Calgary. When I’ve volunteered for Calgary Meals on Wheels, the staff tell me that many elders do all their food shopping at Mac’s convenience and 7 – 11 stores and end up eating microwaved everything. They have no other way to get healthy food unless they learn about a program like meals on wheels. Thinking back to the town of 1500 that I grew up in, I realize we were rich with corner grocers. There was Dowdy’s, Tilly’s, Walt’s (the awesome butcher), Stinson’s, Marion Storr’s store and a small chain called Save Easy. My Mother sent me to these places when she needed the one thing that hadn’t made her weekly shopping list. I knew all the owners and they knew me. They’re all gone now but my best friend tells me that one popped up near her and in the most unsuspecting of places. It seems the owner of an Irving gas station was also a butcher and cook. He started drawing people in with his house made salmon spread and now has a full-on “Superette” in tiny Penfield, New Brunswick. I’d like to think that corner stores might one day rise again to be the corner stones of community they always were. When I move in a few years, I’ll be on the lookout for one that will help me savour it all. I’ll leave you with some of their modern-day work ethic. genuine thoughts on this issue. Really.. thank you for starting this up.